This is one of the most classic of all time rock posters. 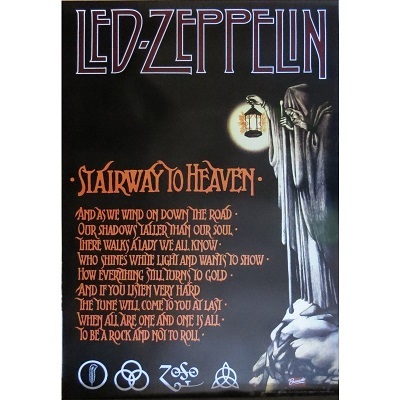 Led Zeppelin's Stairway to Heaven poster with the grim reaper. Approximate size of this poster is 24" x 36". Officially licensed Led Zeppelin merchandise.